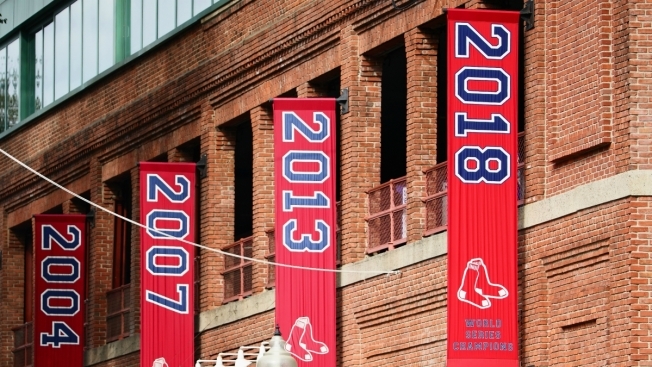 Boston Red Sox fans will celebrate the team's 2018 World Series championship in a special pre-game ceremony before Tuesday's home opener against the Toronto Blue Jays at Fenway Park. Fans are asked to be in their seats by 12:45 p.m. The team plays the Toronto Blue Jays at 2:05 p.m. The pre-game ceremonies will include the unveiling of the 2018 Championship banner, the presentation of the World Series rings, the raising of the 2018 Championship flag, the performance of the national anthem, a fly-over, the Ceremonial First Pitch, and the call to "Play Ball." That's quite a list of activities. Of course, members of the Super Bowl LIII champion New England Patriots also will be on hand, and you can bet they'll bring the Lombardi Trophy (perhaps a couple of them) to Fenway Park. Bill Belichick, Robert Kraft and Tom Brady are not expected to attend, however. Once the pre-game celebrations conclude, the Red Sox will finally be able to turn the page to the 2019 season, which has not started well at all. Boston enters its home opener with a disappointing 3-8 record after an 11-game road trip to begin the year. Luckily for the Sox, their next six games are against the Blue Jays and Baltimore Orioles.